It's alive, it's alive... it's ALLLIIIIIVVVEEEE! Read more about It's alive, it's alive... it's ALLLIIIIIVVVEEEE! Here is where things get really nerdy! As I mentioned in previous sections writing in Markdown is pretty easy and requires very little in the way of actual coding or additional work. You're free to just write the way you normally would using Markdown style codes to create the kind of formatting you need in whatever text editor suits you. The biggest exception to that is when dealing with chapter titles and creating a table of contents. These tasks go hand-in-hand, so I'm going to talk about them together. Okay, so we've already talked about why Plain Text files and Markdown is the way to go. I rambled on and on about the different gadgets I like to use when I'm writing. It's time to get into some specifics regarding the software I use, and if we're going to travel down that particular rabbit hole, we're going to have to talk about text editors. Everyone hates prologues. At least, if all of the articles I've read online are to believed, everyone hates them. Still, despite this accepted wisdom, or maybe in spite of it, I've decided that my next project needs to start with a short prologue to set the mood for what lies ahead. I've just gone on and on about file formats and code without talking about how I physically draft my books. These are the tools I use and a little explanation as to why. I skipped the idea part. That's usually born from a combination of insomnia, listening to far too many podcasts, and just paying attention to the people I pass on the street while going to and from work. So, we'll skip that and go straight to the writing process. November is right around the corner and while it may seem a little early, I've already started jotting down some notes and making my initial plans for this year's NaNoWriMo. Leech: Now Available Beyond Amazon! Chances are if you've found this website, it's because you picked up Leech on the Amazon Kindle store and decided to pay me a visit. 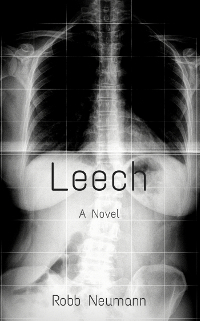 If, however, you're new to this site (and me) and haven't read Leech yet, I wanted to let you know that it's now available on Nook, Kobo, and iBooks starting today. Read more about Leech: Now Available Beyond Amazon! Today I'm excited to share a guest post by Twitter friend Suz Korb. Suz is a prolific indie writer with a number of books to her credit and a terrific blog with plenty of advice for writers. She's trying something very intriguing with her newest book that's worth checking out. Ideas usually start small. I was going through an old notebook today and found the first kernel of the idea at the core of Leech. I have a lot of little notes like this to myself, but they rarely amount to much more than just an idea. I think I got lucky with this one.